Sometimes we see The Bachelor spoilers coming ahead of time. Other times not so much, such as in the bizarre case of Bekah Martinez. Yes, she was just removed from a missing persons list in California after someone recognized her from the hit show, according to reports. The strange saga unfolded after the North Coast Journal asked if readers knew any of 35 people declared missing in Humboldt County. 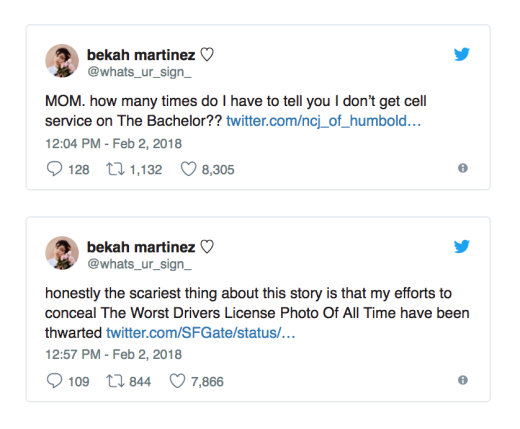 Acting on a tip from a member of Bachelor Nation, the publication compared Martinez’s Instagram photos to her missing person’s photo. At that point, they reached out to the Humboldt County Sheriff’s Office, where officials reached out to her using her phone number on file. It worked. After speaking to Bekah Martinez, officials confirmed that she was indeed not missing, and she was removed from the list. 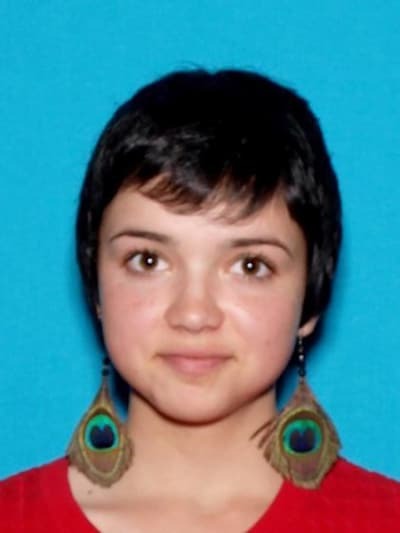 According to the sheriff's office, the now-infamous Martinez was reported missing by her mother at about 1:06 a.m. on November 18. The mom hadn’t heard from her since November 12; Martinez last told her she was planning on working at a marijuana farm in the area. Martinez’s mother told deputies she she asked Bekah to come home; Bekah refused, and said she would see her in 7-8 days. At the time, Martinez told her mom that she was near Eureka, Calif., an area about 45 minutes from any known marijuana farm. The Humboldt County Sheriff’s Office attempted to contact Martinez and others associated with her, receiving no response. The case went to the Humboldt County Sheriff’s Office Criminal Investigations Division, where a deputy contacted Martinez’s mother. According to Martinez’s mother, Bekah had contacted her late in the afternoon on November 18, stating that she was headed home. As of December 12, no one had heard from her, and deputies were not able to make direct contact with Martinez after that point. Thus, she was entered into the Missing and Unidentified Persons System and not removed until The Bachelor fan's sighting. Bekah may have left her mom hanging, but she's been active on Twitter and Instagram throughout the time she's been missing. On September 17, long before she disappeared, she posted that she was “giving up” her phone and social media for weeks. This was for The Bachelor. She resumed posting November 23 after she finished filming (incidentally, if you want to know who will win The Bachelor, follow the link). “Honestly the scariest thing about this story is that my efforts to conceal The Worst Drivers License Photo Of All Time have been thwarted." Clearly she's not taking this too seriously. As for the marijuana farm component of this story, Northern California has long been known as fertile ground for the product. Now that it's legal, gigs on the farms are seen as a good way to make money, but often times are in remote places with no cell service. According to officials, many of the farms don’t have permits and are still illegal, and many who go to work on them don't come back. “It’s something that we’ve been battling with for years,” said one local official to People. “It’s actually a huge problem here." Sounds even worse than being on The Bachelor. 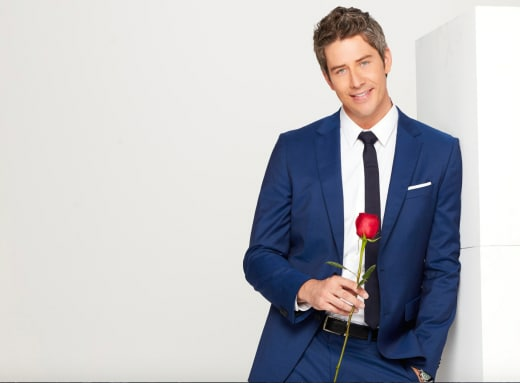 View Slideshow: The Bachelor 2018 Cast: Meet the Women Wooing Arie Luyendyk!